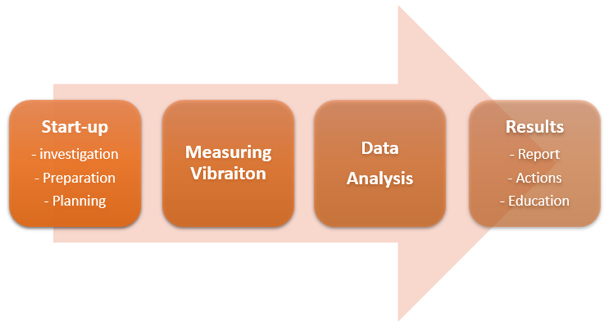 Handling vibrations can be quite complicated, either when it comes to measure them or finding out the cause or the best corrective action. CVK therefore offers expert help within projects and preliminary studies. As a base for this, CVK uses their working model presented below. The working model consists of four main stages and provides an example of what CVK can help out with.